Tarot Tuesday! 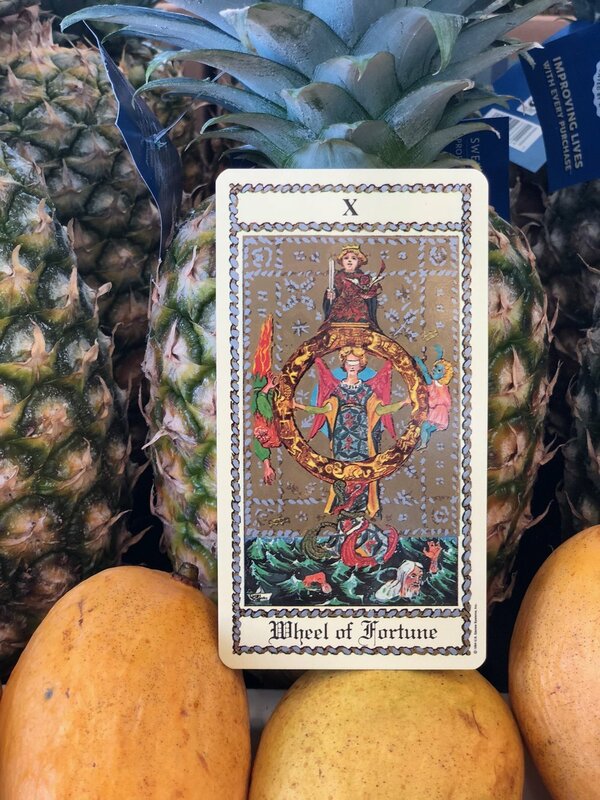 The card for the week is the Knight of Pentacles, representing: Perseverance, prudence, manifestation and fulfilling work. This Knight is known for his determination and unshakable perseverance. He is out to conquer the material world, and nothing will stop him from reaching his goals! Although ambitious, he is also prudent, knowing when to harness his energy so that he can reach the finish-line. The Knight of Pentacles is someone you can rely upon, especially when it comes to getting things done. He represents a time of harvest, indicating that you are realizing your full potential in the world. This is a time to set goals around what you want to manifest, and stick with them. If you are seeking more fulfilling work, this knight will lead you to it! I situated this Knight in a New York City landscape, because, as they say, if you can make it in New York, you can make it anywhere! A testament to the big goals this knight has the ability to achieve. Wishing you an ambitious week!